Whenever I think of snowmen, I think of Olaf, and of the song from the Movie Frozen – “Do you want to build a Snowman?” … how fun it is to head to the snow and build a snowman! But, we live in a climate where we are unlikely to build a snowman. Lots of sandcastles, no snowmen. It is a tradeoff we’re happy with… most of the time. 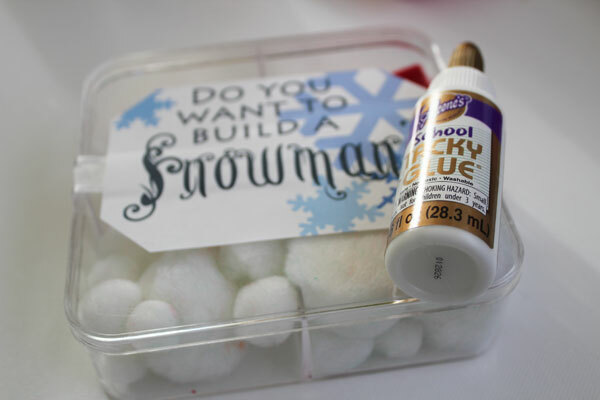 But when that winter snowman-building urge strikes, it is good to know that we can get crafty and build a snowman! 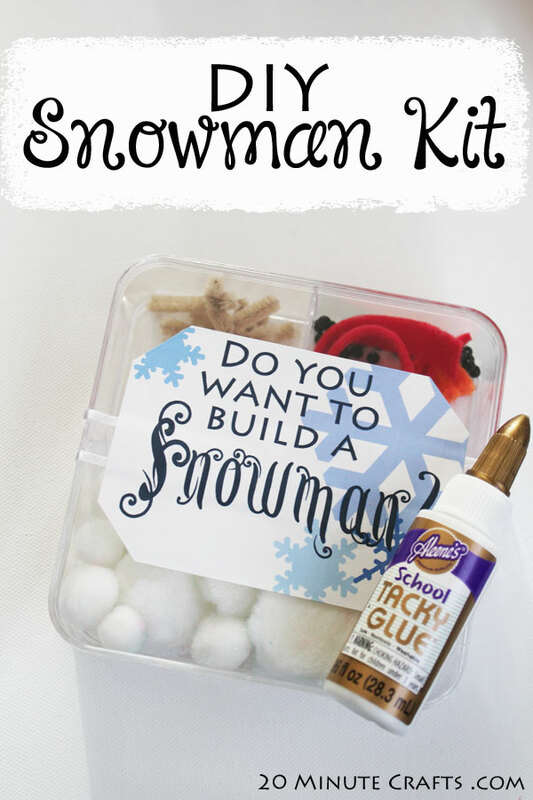 If you’d like to give the gift of snowmen this year, you too can gift this fun and simple snowman building kit! 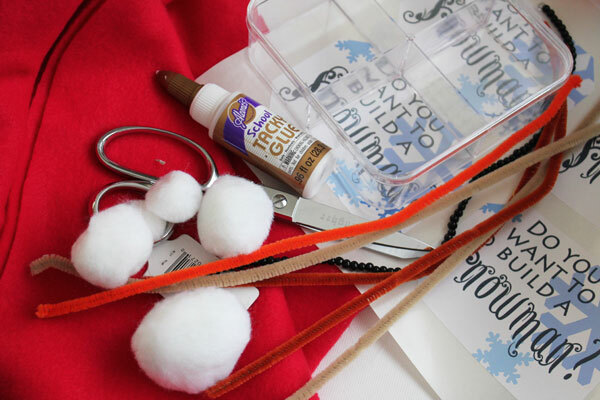 It was so simple to make – just a few supplies in a box, and a printable on the labels sent to me by Online Labels. Looking for more printables to enjoy this holiday season? Check out all the awesome bloggers participating in the Printing The Holidays Blog Hop! From gift tags to bookmarks to countdowns, we’ve got something for everyone. Also, don’t forget to enter the giant printing crafts bundle giveaway below! 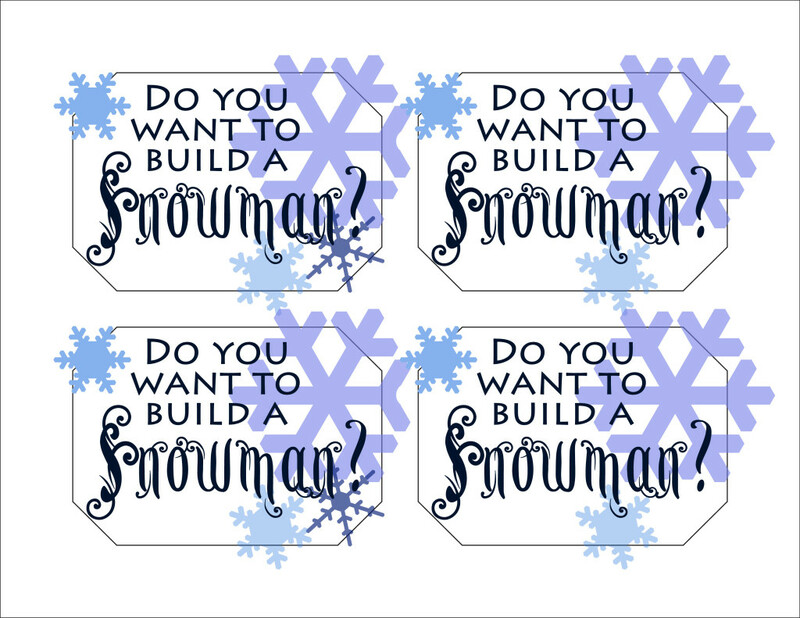 Print out the Snowman Kit Printable onto Online Labels OL1187. When you’re all done, you have the perfect gift for a friend, neighbor, niece or nephew!